The Craig Widdison Yard will saddle up two runners to the Albury Race Club meeting on Sunday, March 19 with an 8 event program racing on a good (4), with fine conditions predicted. Race 5 - 3:25PM ATURA ALBURY BENCHMARK 60 SHOWCASE HANDICAP (1600 METRES) Times displayed in local time of Race Meeting Of $30,000.1st $16,800, 2nd $5,850, 3rd $2,950, 4th $1,400, 5th $700, 6th $400, 7th $400, 8th $400, 9th $400, 10th $400, Equine Welfare Fund $300. The first of the stable runners will enter in race five with Toolangi to compete in a BM 60 Showcase handicap over 1600 m with Nick Souquet aboard jumping from barrier 13. Toolangi is a seven-year-old Bay gelding having raced and 36 occasions for five wins and six placings earning prize money exceeding $80,000 last time out he competed in the Towong Cup finishing fifth of nine with Brooke Sweeney aboard arriving 2.95 lengths behind Little Red Devil in a time of 1:36.60. 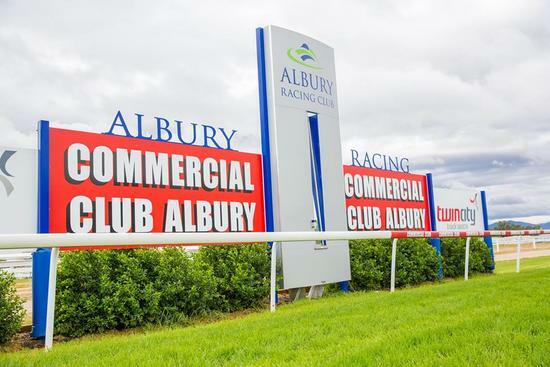 Race 8 - 5:20PM COMMERCIAL CLUB ALBURY BENCHMARK 60 SHOWCASE HANDICAP (1175 METRES) Times displayed in local time of Race Meeting Of $30,000.1st $16,800, 2nd $5,850, 3rd $2,950, 4th $1,400, 5th $700, 6th $400, 7th $400, 8th $400, 9th $400, 10th $400, Equine Welfare Fund $300. The final stable runner will enter in race eight with Murrawee to compete first up from a spell in the Commercial Club Albury BM 60 Showcase Hcp over 1175 m with Richard Bensley aboard jumping from barrier 12. Murrawee is a four-year-old Bay gelding having raced on nine occasions for one win & one placing earning prize money exceeding $10,000. He prepares for this off the back of a Wangaratta barrier trial on March 6 finishing third of eight with Nick Souquet aboard arriving 4.80 lengths behind Tycoon Tony in a time of 51.21 for the heat. The stable wishes connections the best of luck at Albury on Sunday.